Unfortunately, owing to extensive roadworks taking place on the N28 near the Rafeen junction, we have been forced to change the route in this area for safety reasons. The route will now go left in Raffeen and head directly to Shanbally. To maintain the full race distance, it is proposed to go from Shanbally grotto to Barnahely and then turn right for Carrigaline via Coolmore instead of going straight to Coolmore cross. We apologise for the late change but we had no other option. The Great Railway Run features 10K and 25K distance options to accommodate as wide a range of participants as possible. The event takes place along the route of the old railway line from Cork city to Carrigaline. This route passes through Blackrock, Mahon, Rochestown, Passage, Monkstown, Raffeen and Shanbally before finally arriving at Carrigaline. See a full preview of the route. 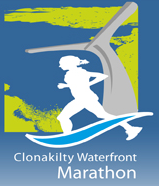 The 25K run starts from Centre Park Road in Cork city at 9:30am. For a large part of the run, the route will follow the old railway line that skirts the shores of Cork Harbour and finishes at the Lions Youth Centre in Carrigaline. A 10K run will be held on the same day along the latter part of the same route with a separate start in Monkstown at 11 am and also finishing at the Lions Youth Centre in Carrigaline. There will be no 5K event this year. The map below shows the route of the run.